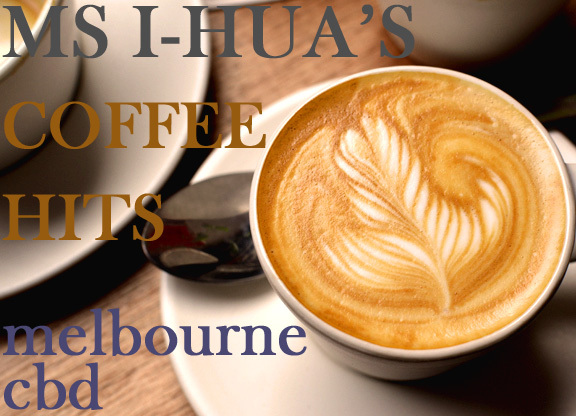 Hello and welcome to my very first Coffee Hits series in which I will be sharing with you a few places that serve coffee in and around Melbourne. 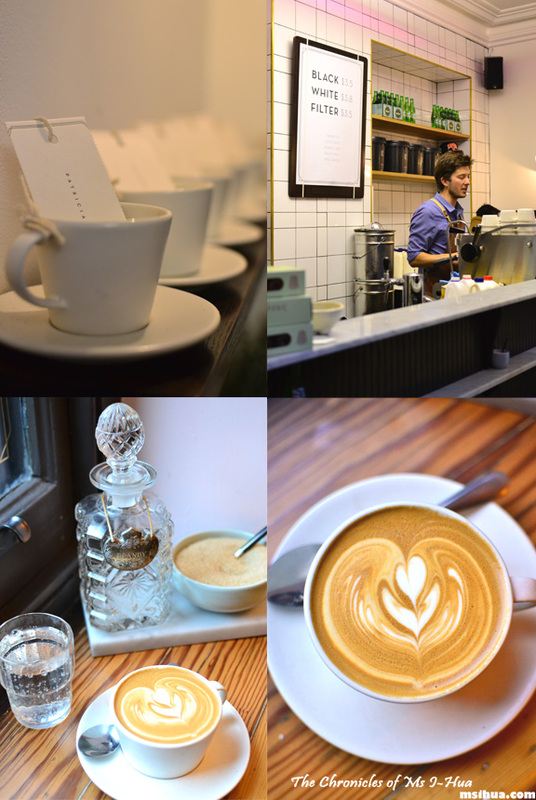 What started out as a Mad Coffee Trail adventure (Part 1 and Part 2) has become a growing obsession for me to find and document as many coffee hits as possible in my spare time. 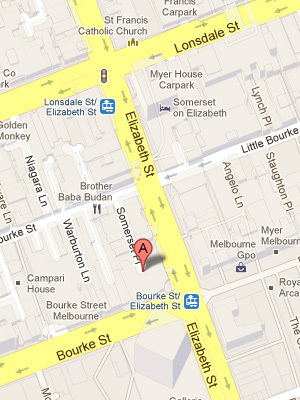 Throw in the trifecta point that it’s hidden and hard to find, you have got yourself a Melbourne coffee adventure. Go by yourself! Heck, bring your friend or grab some tourists on the way. First person to admit walking down some dark subterranean staircase leading down to a subway without some semblance of fear and panic, put your hands up! I kept reassuring her that we would be greeted by coffee, somewhere, somehow. As we rounded the corner the sounds of a barista machine tinkled to us and I breathed a sigh of relief. I was going by pure instinct and vague instructions from my readers! 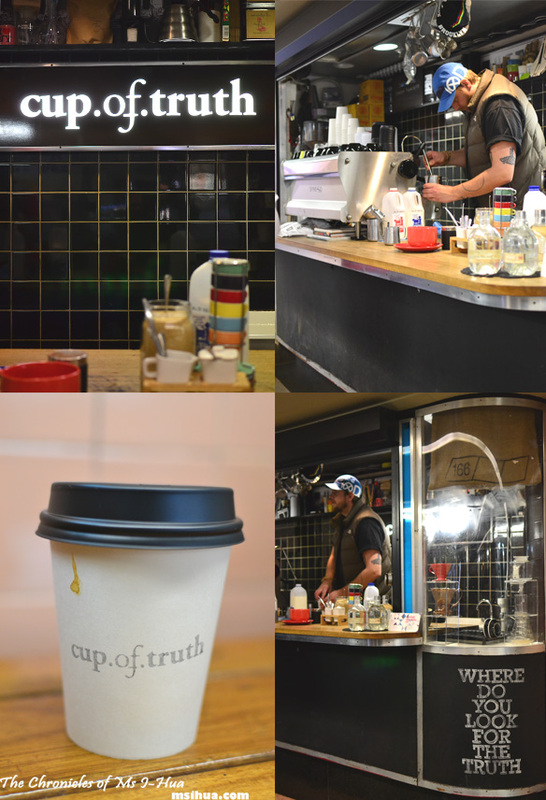 Located right beneath busy Degraves Street in the subway connecting Flinders Street Station to Flinders Lane, Cup of Truth is literally a coffee stand built into the walls of the subway. Kinda cool. Kinda exciting. A hole-in-the-wall coffee stand. Brilliant! Serving coffee punters as early as 6.45am, baristas Courtney Patterson (yup the Metro ad guy! Barista, not Barrister :P) and Verity Govett are jovial and pleasant as they serve their 4000 odd customers every morning during their rush to get into work. 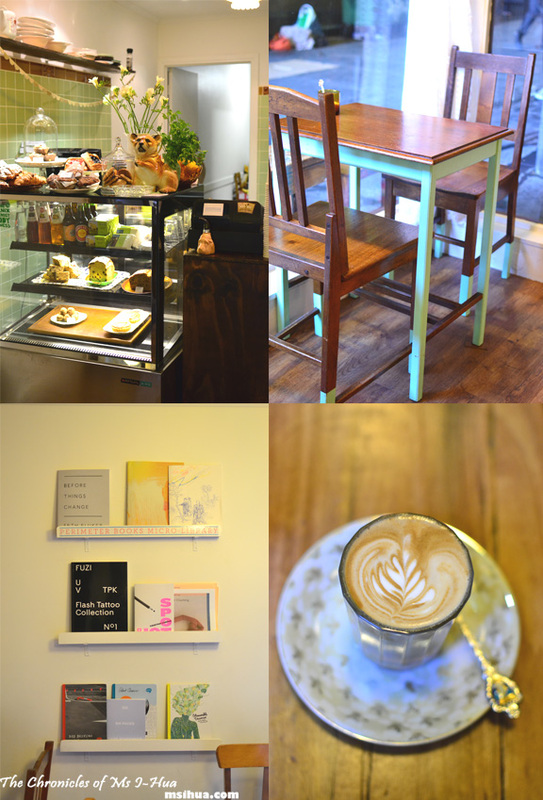 Located on the grounds of a church (no, I’m not kidding) sits a tiny, cute and homey cafe run by Ellie King (whose nickname growing up was Little King). 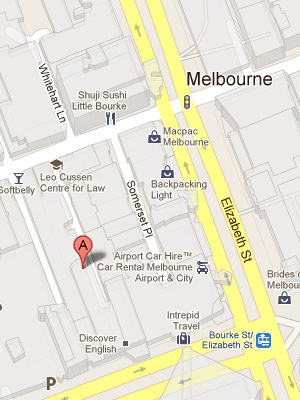 To get here, simply walk down the alley off Flinders Lane (right across the Westin driveway) to the back of Melbourne’s St Paul’s Cathedral. Don’t be put off by the various homeless individuals sleeping right in front of this cafe, walk straight in and you’ll be greeted with enthusiasm by both Ellie and Jess. They happen to serve food there as well, and the morning when I visited, Ellie had convinced Jess to carve up a pumpkin for pumpkin soup. Menu is pretty ad hoc when it comes to mains (soups, salads and sandwiches) but they do have a fix menu of toasts, porridge and pastries from Dench. 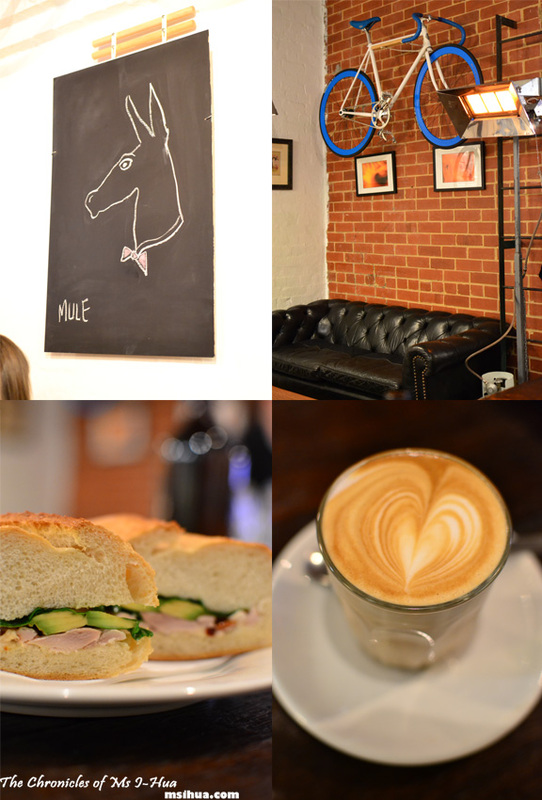 If you’re looking to chill out and have a cup of coffee, some breakfast (or lunch) whilst you repair your bicycle or get some bike gears, hop on down Somerset Place (just off Little Bourke Street). This is a case of what happens when two IT professionals quit their jobs to combine their love for bicycles and coffee and set up shop down a hidden alley of Melbourne. Serving all day breakfasts, salads, sandwiches and soups, Little Mule serves up a pretty decent cup of coffee and meal. Come one, come all, there is a seat for you be it the comfy sofa by the corner, the bench by the wall, the giant communal table smack bang in the middle. If sharing is not your thing, there are tables where you can segregate yourself to as you enjoy the coffee and meal of your choice. Manchester Press burst on the scene as the place to visit if you wanted fun coffee art. None of perfect rosettas’ you see other cafes churning out. This is the place to get some boobies on your coffee! Literally. Although I’ve never had any boobies grace my latte art. Disappointing, I know. But I’ve had awesome art from these guys including a twin headed Asian looking girl. It’s amazing. Walk down the alley (which occasionally has huge dumpsters blocking the way or a truck parked tightly in the alley) right next to the famous BBB to get to this warehouse joint. Head here if you are in need of some cheer. It seems that you must now request for coffee art before it graces your coffee. I didn’t the first time and was told that I had to ask for it. What’s good to eat here are also tasty bagels, sweet or savoury the choice is yours. Patricia’s is literally my second home in the mornings before I head into work. I make special effort to walk pass them on the way to work almost every morning to get my Seven Seeds hit. Located down the lane-way between William Street and the NAB building (where Movida Acqui is) in what looks like a drop-off zone and a revamped lawyers office, lies PCB. The crew at PCB are friendly, jovial and know their coffees. They serve various pastries and are currently selling caneles! NOMS! 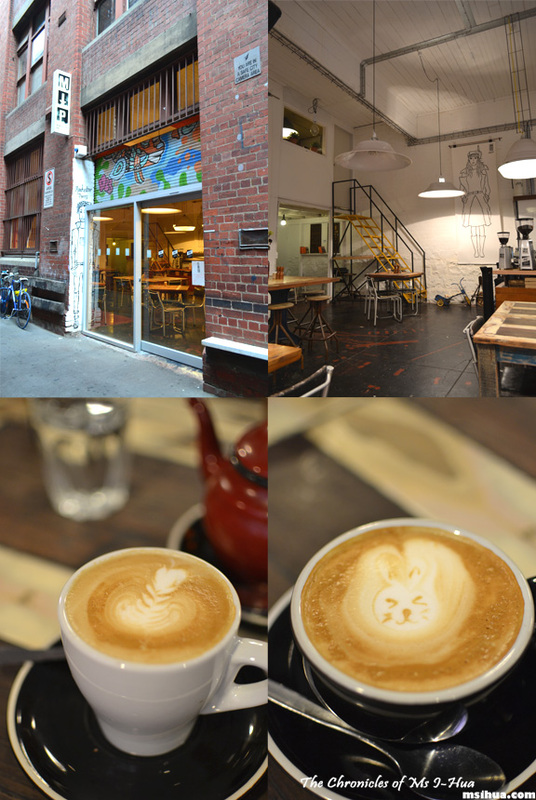 I think the coffee and food in many of these beautiful cafes in Melbourne is decidedly better than Sydney. Unlike Sydney’s 340 sunny days each year, you guys need places to hide on so many of those cold, wet and dreary Melbourne days. YAY! Love this post 🙂 i’m always looking for coffee places in the CBD now since I work there ~ but damn I’m kinda on the other side of the city 😛 but i will still go and get these coffees! *rages* Why none of them in Docklands near my office aaaaaaaaaaaaaaaargh!!! Love the artistry of the ferns on the coffee froth! Because there’s nothing there 😛 Also much too far for me during work days! Great post! 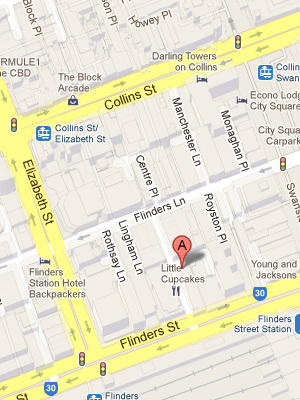 I love Cup of Truth – I used to get coffee there every morning when my commute took me through Flinders Street Station. 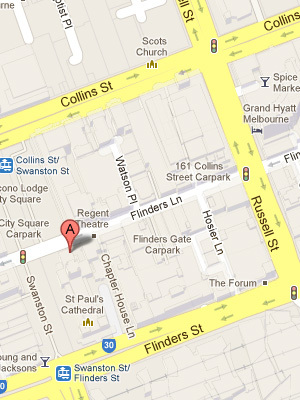 Hehe, and now I’ve finally figured out where Patricia is. So nice of them to give sparkling water with the coffee! If my route to work ever changes I’d be sure to go there too! I feel like I must visit it more! Lorraine @ Not Quite Nigella recently posted…Safari Cupcakes for RSCPA Cupcake Day! What a great idea – some old favourites here (like Patricia’s) and some I really need to check out still. Love this post!!! 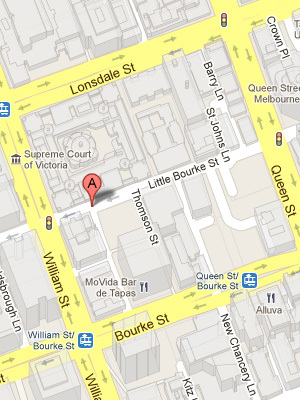 Not hard to guess since I’m a fan of coffee, lane ways and our beautiful Melbourne! BBB is a classic. You can’t ever go wrong! Thanks so much for taking the time to comment!! Welcome! At the coffee shop here in Utah, you choose a cup and then go squirt coffee out of one of four possible thingamajiggies, before doctoring it up yourself with milk/sugar/cinnamon/vanilla/etc. It’s weird. I totally put salted caramel syrup and soy milk in mine, because I find it strange to drink squirted coffee straight. Oh, Australian coffee! I miss you! That’s just coloured flavoured brown muck! ahhh jealous 🙂 I’m always SO jealous of your morning coffee pics! You should go try.. it’s cute!